Larabar is a company that has made its name in making energy bars that provide a nutritional boost while also featuring more indulgent flavors. 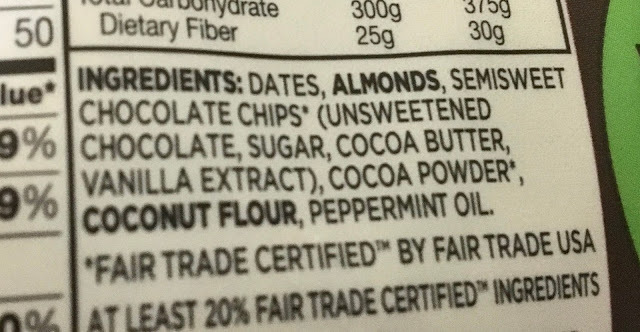 Before their new energy bar bites caught my eye at Target, I assumed their products were not safe, but was floored when I found out that they are all gluten-free. These new energy ball bites combine the functionality of the bars with the presentation of a truffle for a snack that is both sweet and satisfying. Made with real, pronounceable ingredients irresistible in their flavor profile, they promise to make treating yourself good for you as well. The bites come in four flavors that have less than ten ingredients each: double chocolate, mint chocolate, cherry chocolate, and chocolate macaroon. 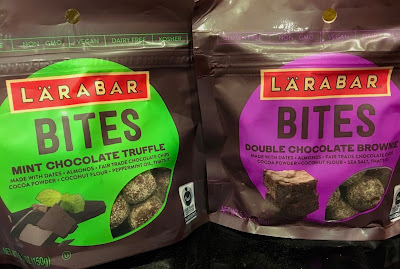 Because I am not a huge cherry or coconut fan, I decided to focus my review on the mint chocolate and double chocolate bites. 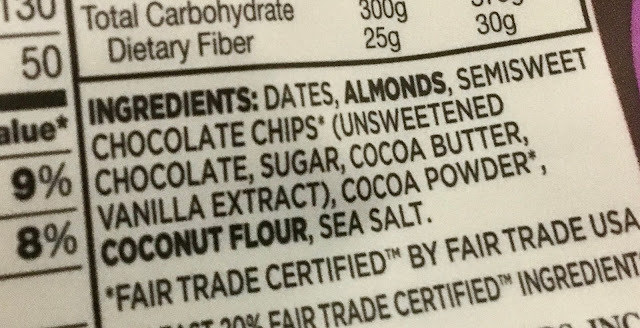 What's really cool about Larabar bites is that their simple ingredient lists mean that they can incorporate into many special diets. 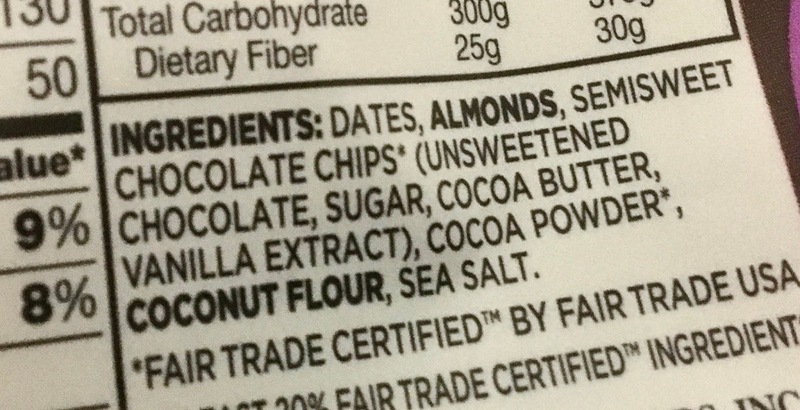 The bites are vegan, gluten-free, non-GMO, and Kosher. As an added bonus, many ingredients used in the bars are Fair Trade Certified, which is an added bonus. For more Larabar allergen information, check out their website at this link. The double chocolate brownie bites do hit spot for a mid afternoon chocolate craving, but I found the intensity of the chocolate not as strong as I would have liked (I am a dark choclate lover). The chocolate has a fruity undertone which is interesting, but they don't capture the "decadence" factor that they promise with the word "brownie" on the package. 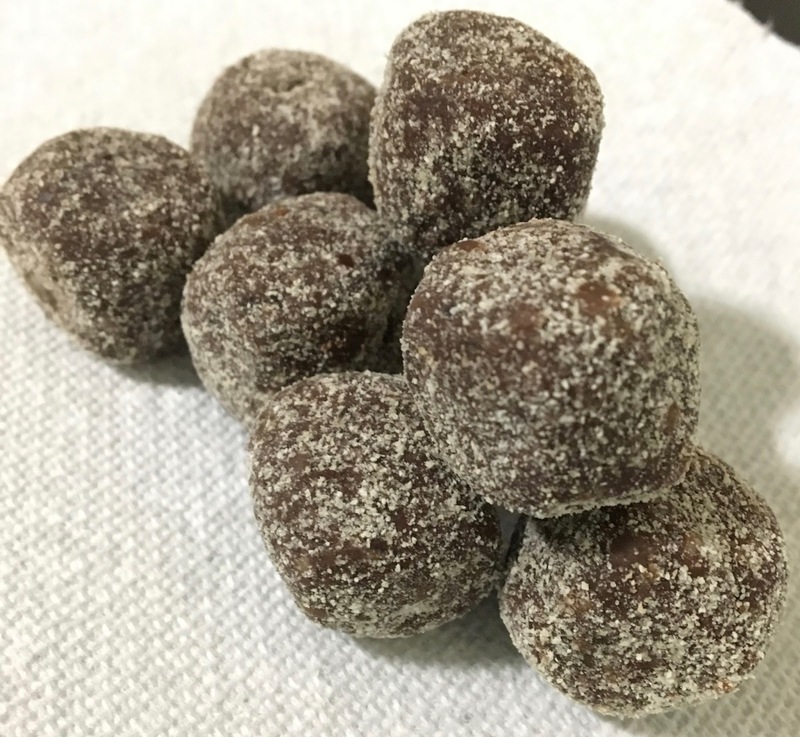 Don't open a bag expecting brownie bites, but they do provide a nice chocolatey, sweet treat that can stave off cravings. Whereas my impression of the dark chocolate brownie bites was more tepid, I did really like the mint chocolate truffle ones. It's hard to go wrong with mint-infused chocolate, and these have the flavor dimension I thought was lacking in the first bites. 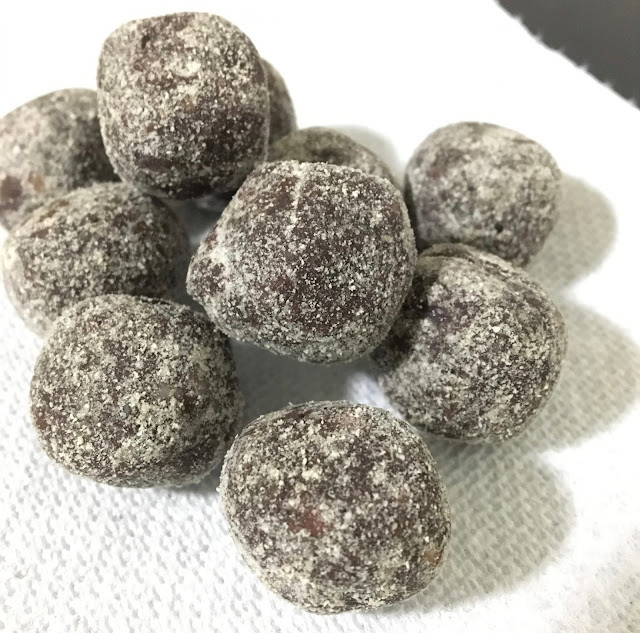 They have an identical texture, but the peppermint oil gives them an indulgent Thin Mint-like taste that made it hard to stop after eating a couple bites. Not as sweet as I expected, they again should not be compared with sugar-laden chocolate or baked goods, but as snacks go, they are a nice option for a taste of sweetness for a snack. While these Larabars are not a perfect snack (they still have sugar and chocolate in them after all), they do have a healthier profile than beats going right for a chocolate bar to satisfy chocolate cravings. I liked that they had real ingredients and are in bite-sized proportion, which makes them appeal to kids and adults alike. It's nice to have more options on the energy bar aisle, and these fill a gap between indulgence and healthy eating. You can find Larabar bites at Target, CVS Pharmacy, and grocery stores near you. For more information about Larabar, click here.